I'm what the old timers might call a 'gentleman farmer'. I've got the acreage, the tractor and bib overalls... but what I'm lacking is experience. I've spent too many years with a guitar or laptop in my hands instead of pitch fork or a garden rake. Building brands instead of branding cows. But I do love it. Farming. So did my bride. It's part of why we live where we live and make the decisions we make. Because there's a big difference between singing about the good life and actually living it. The hay in the back field behind the cemetery was needing cut and bailed one more time before winter and since I had Tuesday afternoon open, with nothing on my plate... I put my cowboy hat on and jumped up on the tractor. 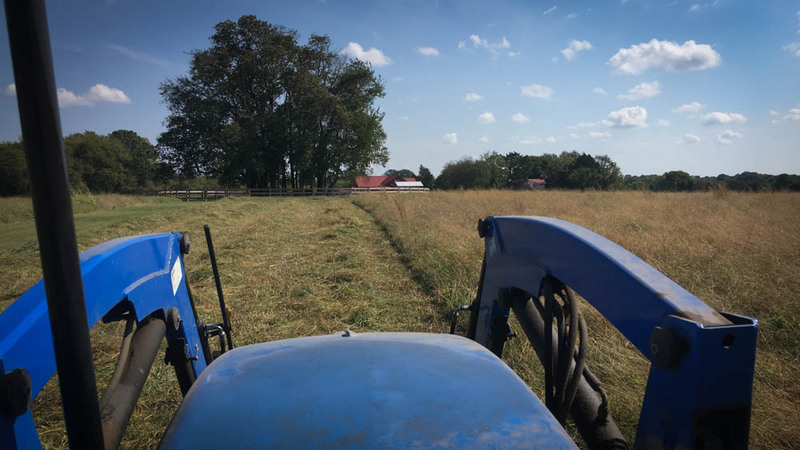 And then I proceeded to make a gazillion laps around the field - turning the tall, lush grass in front of me into one long pile of hay - sorta like peeling an apple in one strand with a pocket knife. 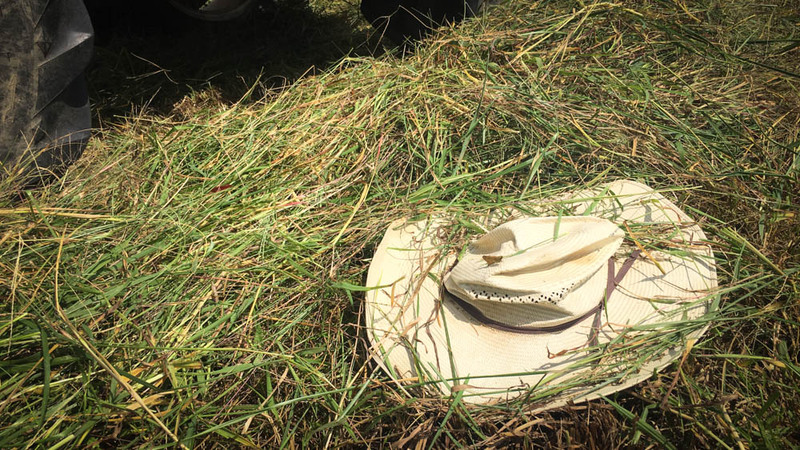 All was going well until the sun ducked behind a cloud and a big gust of wind proceeded to take my newfound farming swagger and my best straw Resistol cowboy hat and run them both through the hay-bine machine that I was pulling behind the tractor. When I found my hat... it, along with my manly pride ...was pretty bent out of shape. Luckily though, no one was around to see it happen but me. 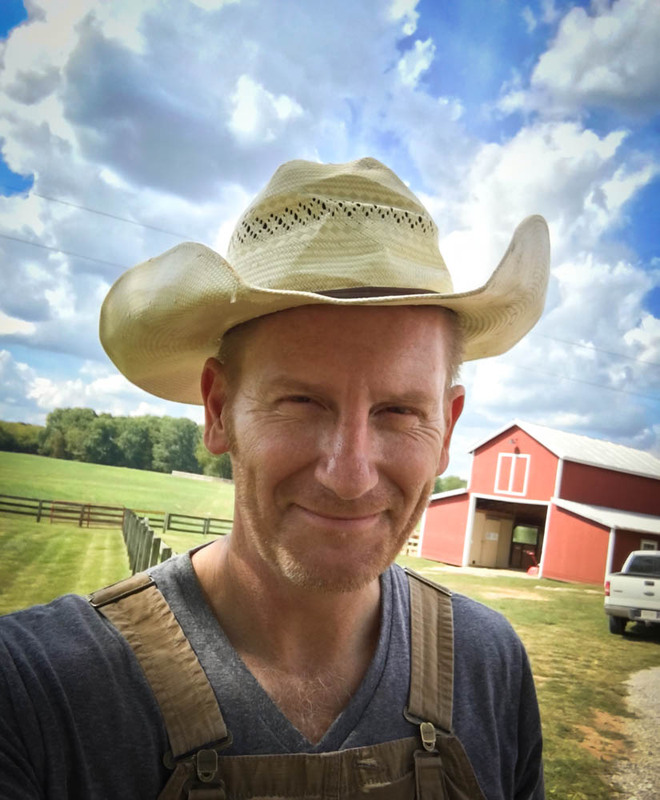 Did I mention that I'm a gentleman farmer?